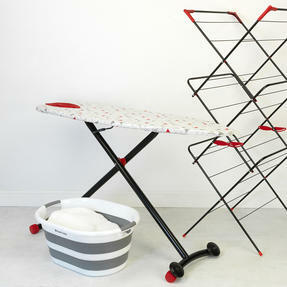 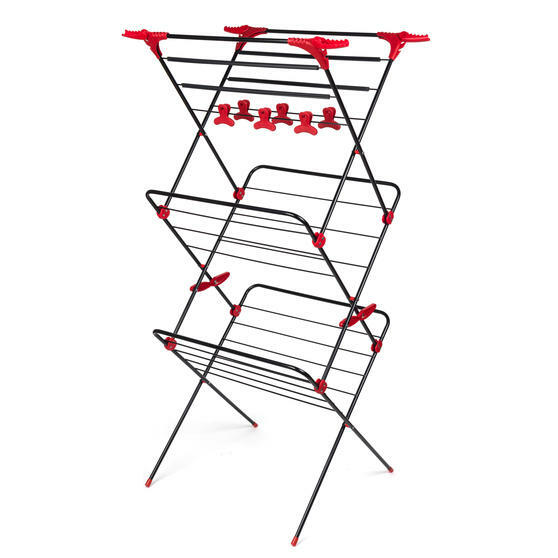 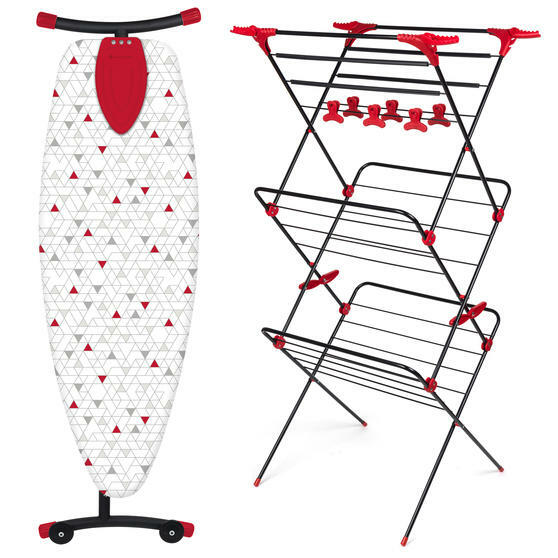 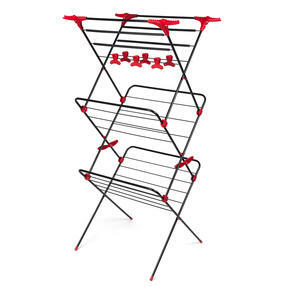 Take the hassle away ironing with this impressive airer and board set from Russell Hobbs. 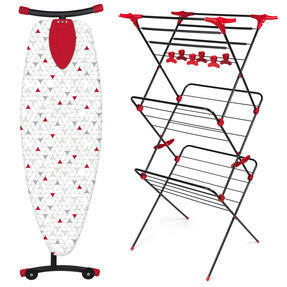 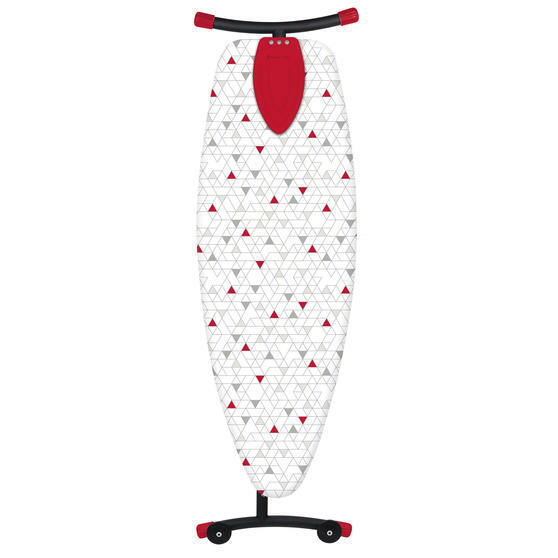 The sturdy ironing board features a convenient silicone pad in-built to securely hold an iron and has wheels allowing you to move it around effortlessly. 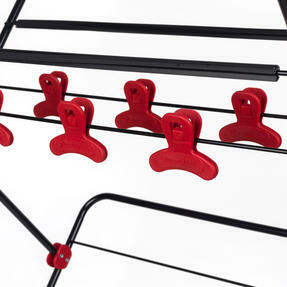 With a tall three-tier structure, the airer takes up less space than a long tier model - a perfect fit for small spaces. 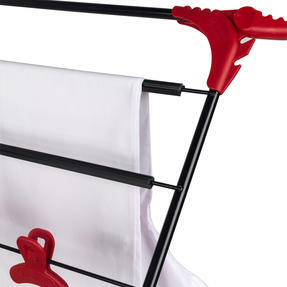 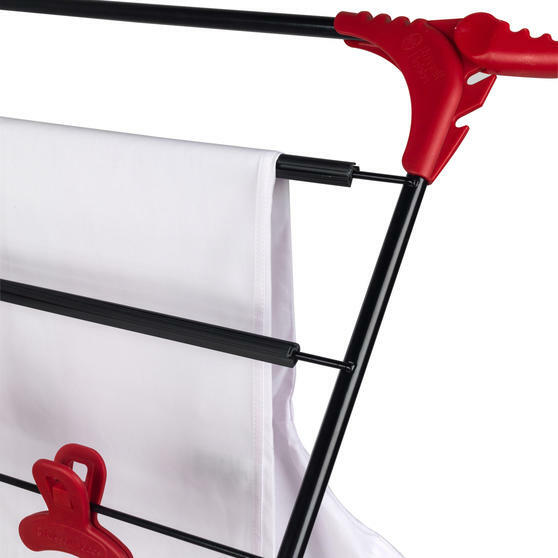 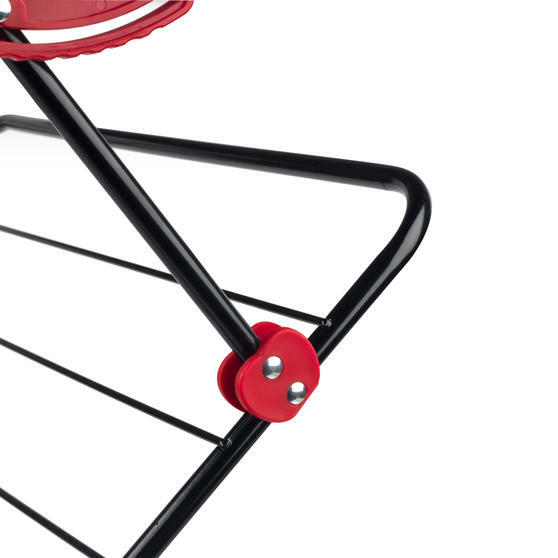 Made of strong steel, the airer is durable and robust allowing you to dry bedding, towels and clothes without needing a tumble dryer. 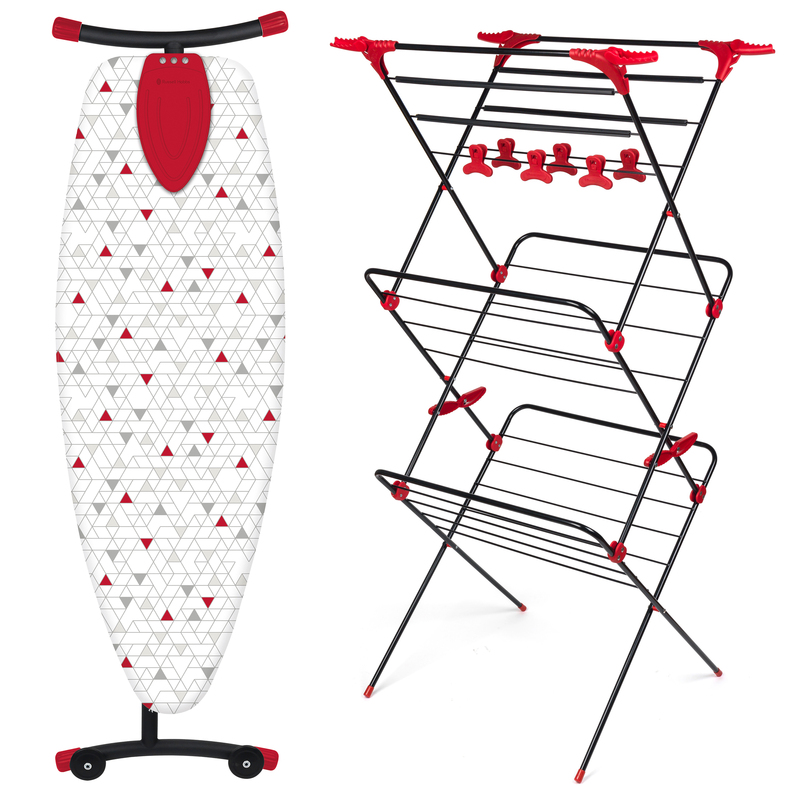 Designed to last, this fantastic Russell Hobbs set features a collapsible ironing board and a robust three tier airer. 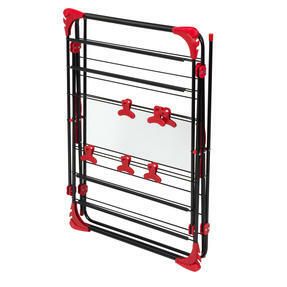 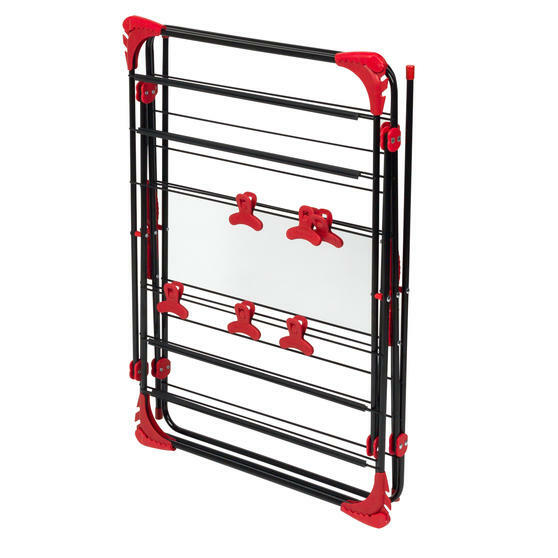 Measuring 135 x 46 cm, the board has convenient wheels and it can be folded away effortlessly after use for easy storage. 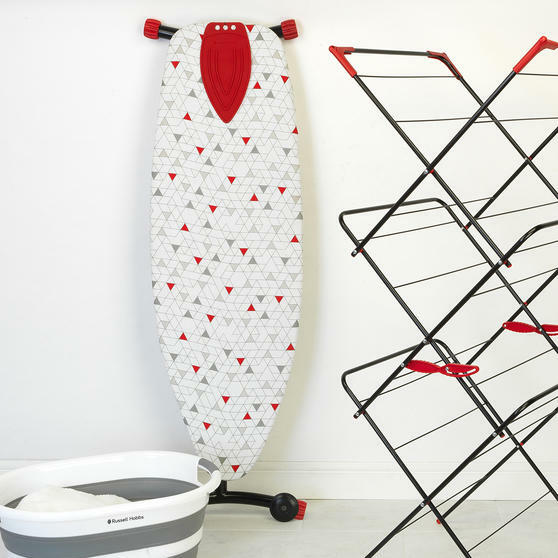 With a three-tier design the airer is tall rather than wide so you can dry your clothes without taking up much floor space. 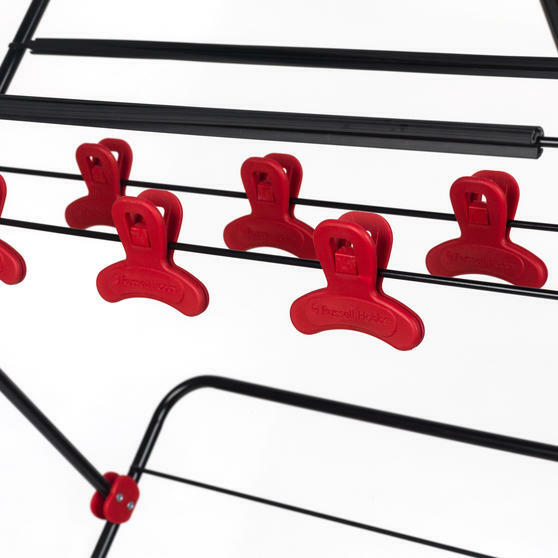 The corners of the airer can be turned outwards to provide a convenient place to hang shirts and it can be used indoors or out. 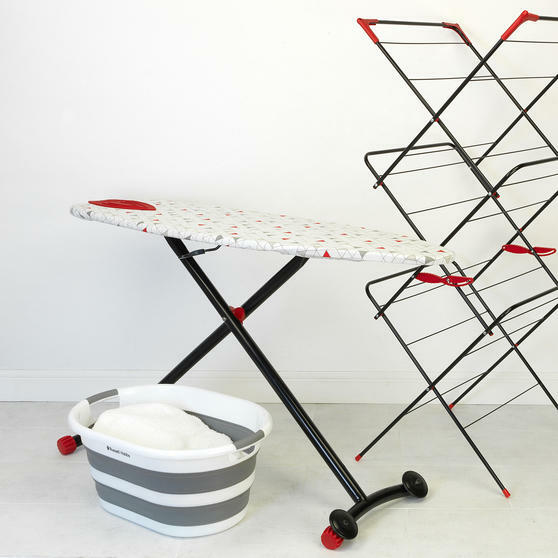 With over 65 years of experience supplying British households with high quality goods, Russell Hobbs design homeware to last.